Get in the Halloween spirit with some local flavor! Neighbors have decorated their houses and lawns with skeletons and ghosts. Stores have candy stocked constantly. Horror movies are being released in theaters left and right. The Tower is playing Rocky Horror Picture Show! All of this means Halloween season is upon us, and in full swing! But you’re a music fan at heart. Where’s your Halloween hallmark? Don’t fear the reaper, because Skalloween has you covered! 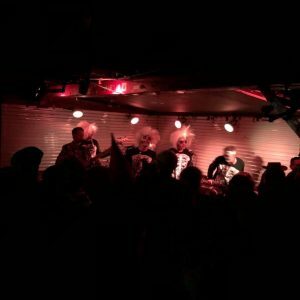 …is an annual concert featuring four local Ska Punk bands — The Gringos, Scheming Thieves, The Anchorage, and Show Me Island. 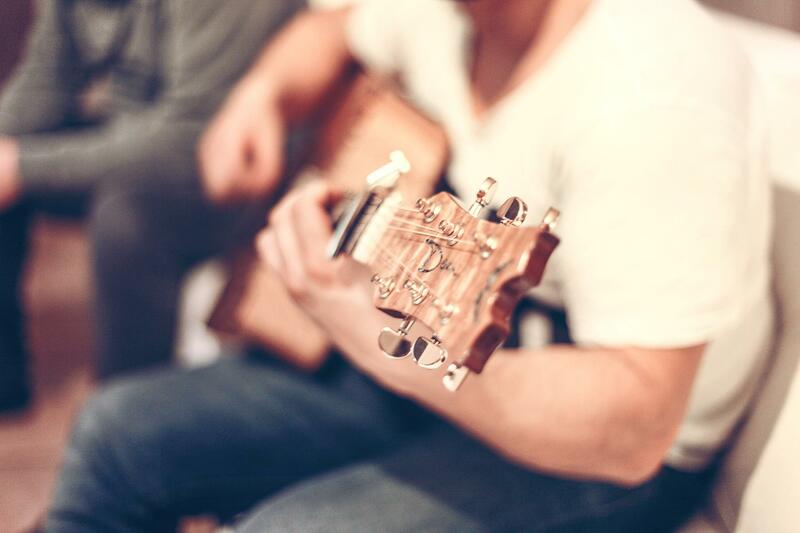 Each captures the sounds of ska, from jazz to reggae to rock, in their own way. The Gringos’ vocals evoke the scratchy sounds of jazz lounge singers. Scheming Thieves embody Ska music’s early 2000s pop-punk influences. The Anchorage brings the moody sounds of hard rock and emo to their wonderful brass. Last but certainly not least, Show Me Island is for the classic Ska fans. Their walking bass lines, composition, and lyrics will remind you of your first time listening to Madness or The Specials, but with a female vocalist! The bands dress up too! 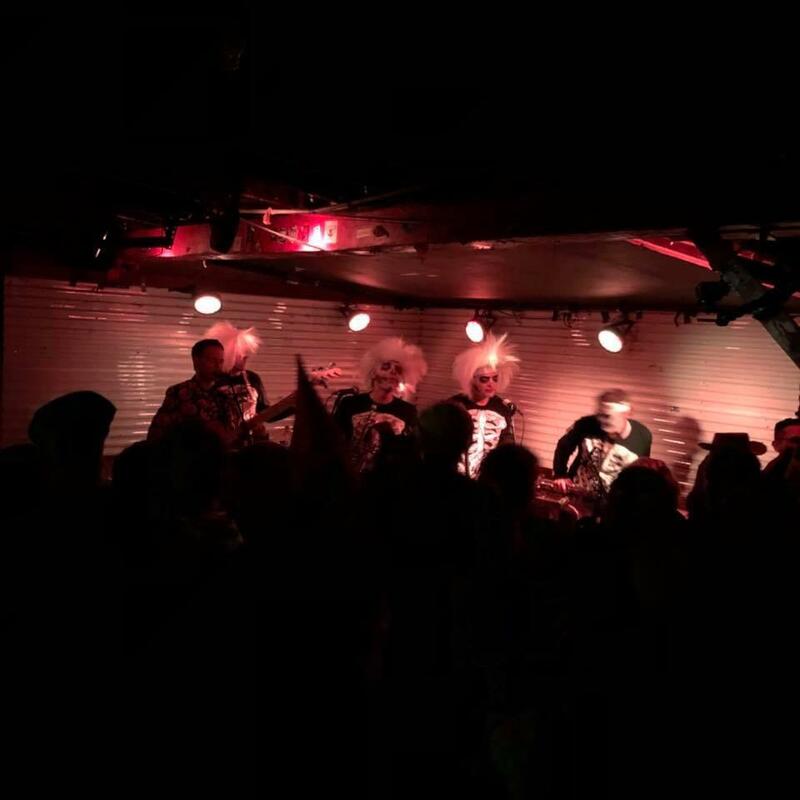 At Skalloween, everyone dresses in costume, dance and mosh together for a night of trumpet and bass-fueled fun. If you love Ska music, this is absolutely your place to be. You’ll be right at home in Skalloween’s pits that are full of moshing and skanking. Almost everyone there is dressed in costume, so if you’re looking to display yours before halloween, you’ll fit right in. Even if you’ve never heard of Ska, you’ll probably still love it because everyone else is having so much fun. Ever since I was introduced to this show, it’s been my favorite concert every year. I think every music fan should make it a tradition to go to this concert. 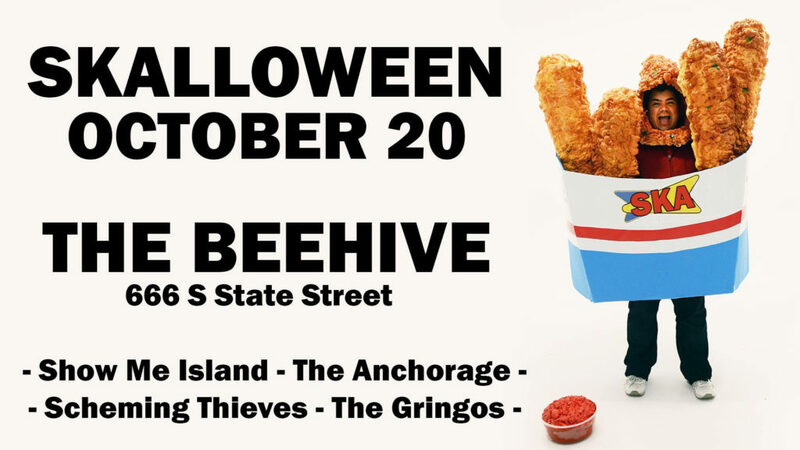 Skalloween takes place this year on Oct. 20 at the Beehive (666 S. State Street) @ 7:00 p.m, $7 at the door. I’ll be there, and I hope to see you too! Dress up and bring all your friends!